It is hard to believe it has been 50 days already since we signed up as a HubSpot customer and became an Inbound Marketing Agency. But then again how can it be only 50 days? We have completely transformed as a company and as individuals. The past two years have been incredibly hard. For us as a family, as individuals and professionals. I left a well-paying job at SAP to follow our dream to run our own business. Since then, we have been drinking from a fire hose, constantly climbing on a very steep learning curve. We founded Organic SEO Press about 2 years ago as an SEO firm. In the beginning, we only got totally underpaid web design jobs because customers did not understand what search engine optimization was (really, you don’t just pay Google for that?). Maybe this was due to the lack of a proper sales process or we were targeting the wrong clients. We grew by word of mouth and referrals and had enough jobs to fill our work days … and nights. But it still did not pay the bills. We always ended up building the client an online marketing strategy, a new website, optimize it for search engines, and made significant improvements on their content. When I started to spend hours on graphic design and using my own personal photography to help this client get more customers, I knew that it was enough. I searched for ways to make more sense from a business perspective. I took Troy Dean’s WP Elevation Training, which is amazing for any WordPress Consultant who wants to get paid what they deserve! It gave me a sales process, positioning statements and proposals to learn from – and a HUGE boost in confidence. I knew I made great websites and now I would charge for what they were worth. To improve our business further and reach a level of consistent flow of income, we turned to SCORE – an amazing non-profit organization where retired executives help small businesses. When Arnold and Robert asked us what we did for our own marketing, we were stunned. We had tried paid search and Facebook advertisement, but it was outrageously expensive or not effective. We did print advertisement which got us a completely worthless lead. But other than a few other random marketing efforts we had done nothing effectively. We were not doing for ourselves what we were preaching to our customers. Our website was a mess – there was no clear conversion path, no call to action, a few scattered landing pages. That is when I knew that we could not do it ourselves. When I spoke to Brian Moseley (@bmose14) from HubSpot, a massive 1000 Watt light bulb switched on. He asked me how many customers I would need to stay afloat. What is my average retainer size at the moment? And many more very uncomfortable questions that I should have known the answers to. I realized I was not managing my business, I was just getting by. It took me another month to call Brian back. By then I had read everything I could find on Inbound Marketing. 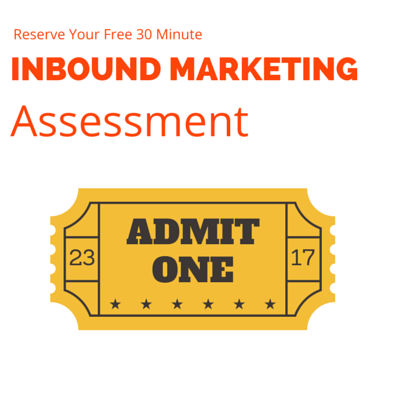 I even had taken the free Inbound Certification. 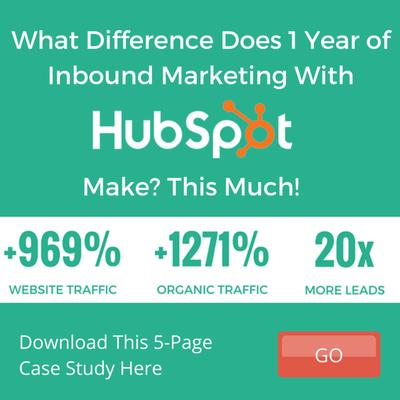 I wanted to know what the average day looked like for a HubSpot customer. I challenged him: Why could I not do the same if I have WordPress, a state-of-the-art SEO tool that costs me $99/month, MailChimp, Google Analytics and all the other scattered tools that I used. I asked him to see a demo. When Jeremy and I saw glimpses of the power hidden under the HubSpot hood, we knew what to do. The minute we decided to become a HubSpot partner, a huge weight was lifted off my shoulders. I had a plan, a proven marketing platform and a team of experts to help me along the way. We signed on March 17th, 2014 – 50 days ago. I am not going to deny that coming up with the license fee and the training cost was easy for us. But there was no doubt in our mind that that was the right step to take. We set ourselves the goal to be fully up and running as a HubSpot partner within three months. In order to do that, we needed to study. Hard. So we committed for the next two months not to take on new big clients and dedicate most of our time to getting up and running with HubSpot. First, we learned the Inbound Fundamentals and get familiar with each tool of the platform. The training is broken out in dozens of lessons; each lesson has several high-quality videos and comes with a practical homework, where you use the tool to improve your own marketing. Then there are live webinars with the teachers (in HubSpot they are called Professors) and other students. This is a great way to go through real life examples and get feedback on your own work. When I was “accused” of being the ringer in one the classes by a fellow student, I was elated. Within 27 days, I was HubSpot Certified, which means I showed not only in a written exam that I mastered the HubSpot software but also showed actual success in using it. You also have amazing resources such as a consultant and an account executive as well as HubSpot technical support – so you are never alone, which is such a relief! I cannot stress enough how helpful and less stressful life has been with such amazing support on our side. I am proud and happy to report that despite a 10 day holiday and moving houses last month, we have seen tremendous success with our marketing efforts. Published 10 blog posts, which we will increase to 2 a week. Seeing your Twitter following grow is amazing, but there were also a lot of strategic changes. Most importantly, we approach our business and marketing from a holistic perspective. After about three weeks of studying we realized that we had done a great job with some blog posts in the past. For example, StudioPress Child Themes Review: Foodie is ranking #1 on half a dozen related keywords. We have also great blog posts on how to add Picasa albums into your WordPress site or why local businesses need Local SEO. But we actually did not want to attract the crowd that wants to build their own website with StudioPress or pick up some DIY SEO tips. We wanted to have the VP of marketing or business owner read or blog posts. But they could not care less about my Foodie Theme Review. We realized we wasted resources and time writing without our ideal customer in mind. We now have defined buyer personas and we know what their pains are, what words they use when they are looking for solutions and when to reach out to them. This is a point we struggled with a lot in the past two years. We tried to be as transparent as possible and post a list of services with assigned prices on our website. We soon found out the one-size-fits-all for online marketing services is a huge mistake. Every business is so different and it requires a different strategy to tackle it. We always ended up giving the client all the things they needed, but did not pay us for (search engine optimized, mobile-responsive website with a lengthy crash course on social media, blogging and content marketing. We wanted them to succeed. Now, by studying my ideal customer’s pain points I know how to package my products to provide the best value for them and make it worthwhile for us from a business standpoint. As mentioned before, I struggled with selling, because I hate to sell. I charged too little and gave too much. I talked too quickly about the technical implementation I had in my mind without asking the most crucial business questions. It was expected. Most people who call you for SEO or a website have in mind what they want, or at least what they do not want. You get easily carried away in discussions about sliders and such before getting the question out what the main business purpose of the website is or who their customers are. Now I know that I am truly helping people – and I can already see success in current clients, which is just fantastic! As I mentioned already in point 1, we were not talking to the right audience. Our content was more born out of necessity rather than developed in a thought-out content strategy, defined buyer personas or an editorial calendar. Now, I see that the struggle to define ourselves and our products and the lack of a strategy has resulted in random product pages and blog posts. In the last two weeks, we have been defining our product portfolio and aligned it with the first three steps of the Inbound Marketing Methodology (Attract – Increase Traffic, Convert – Lead Generation and Close – Get More Customers) as well as other add-on services such as web design, social media and content marketing. We have developed a content marketing strategy around this and started to rewrite our content. It is still some more work to do, but it is a significant improvement over what it was before. If you have been to our website before, you see some changes. I am currently in the process of redesigning and rewriting our entire website. Every single bit of it, down to the last drop. It needs to reflect the changes that we have gone though. I am implementing this content strategy mentioned above to lay out a clear path for each of my buyer personas, including call-to-actions and landing pages. 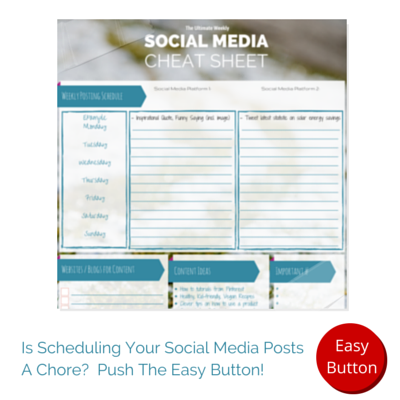 The biggest challenge for me was the overwhelming amount of to-dos. Studying, blogging, writing, doing actual client work and promoting content is not an easy schedule to work out and get used to. Even though HubSpot provides you with an external project management tool, it feels like you are being swept away. Once you get the hang of it and the studying becomes less and the actual work in the tool more, it is simply fun. So, to wrap this up: I love to work on HubSpot and even signed up as a HubSpot Beta Tester! I cannot say how much of an incredible change this has been and we are looking forward to all the changes to come in the next 50 days and beyond. I would love to hear your feedback! What are your hesitations what considering a marketing automation software such as HubSpot? What are you struggling with in your day-to-day digital marketing work?